Join the Woolworths Masters Blasters team! Registrations are now open and is as simple as going to PlayCricket.com.au, typing in your location, and choosing the link to the Sunbury Cricket Club. The Sunbury Cricket Club in partnership with Australia Cricket and Cricket Victoria are excited to offer the New “Woolworths Junior Blast” Program. Formally known as “Milo Cricket” the format unites Australian kids of all abilities through fun and exciting game based activities, Junior Blasters is all about fast-paced fun, friends and being part of a squad. Become part of the Woolworths Junior Blasters Squad! Sunbury Cricket Club is holding a registration day for all Junior teams, for the coming 2018/19 season. We welcome all boys and girls to join the mighty Roar for what is going to be a big season of cricket. Registration fee includes club playing shirt, social 1 day polo and a Renegades membership. Are you interested in helping out either at practice or game day? The Sunbury Cricket is looking for girls and boys between the ages of 5 and 16 to participate in our 2018/19 Junior programs. Sunbury Cricket Club cater for all age groups offering the following programs, Milo In2 Cricket ( ages 5-8), T20 Blast ( ages 7-12 ) and U11/13/15 and 17’s in the local GDCA competition. 1. 1-1 training with our academy coaches. 2. Financial assistance with travel during representative duties. 3. Exposure and clear path way to our Senior McIntyre team. 4. Training and guidance on understanding the game. 5. Developing future leaders of the SCC and the Community . 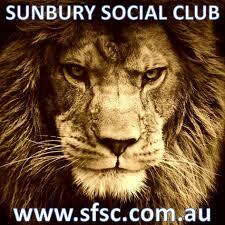 The SCC is a family club bringing both Junior and Senior Players together through the ranks. Please take note that the Annual General Meeting (AGM) of the Sunbury Cricket Club will be held on Thursday 31st of May commencing at 7.30 pm. in the McMahon Pavilion (upstairs rooms), Sunbury Recreation Reserve, Riddell Rd. Sunbury. Confirmation of Minutes of the AGM held on the 12hMay, 2017. 5. Election of Committee of Management. (f) Election of Ordinary Committee. (a) Nil: NB subscriptions for season 2018/19 will be determined by the incoming committee at a later date. A nomination form for any committee position may be downloaded by clicking this link 18/19 Nomination form or contacting the undersigned by email sunburycc.vic@gmail.com. All nominations are required to be lodged no later than 7.00pm Wednesday, 30th May 2018. All members are urged to attend the meeting to ensure a successful beginning to the season. Please bring this notice and copies of other correspondence with you. Please take note that the Annual General Meeting (AGM) of the Sunbury Cricket Club will be held on Thursday 24thof May commencing at 7.30 pm. in the McMahon Pavilion (upstairs rooms), Sunbury Recreation Reserve, Riddell Rd. Sunbury. A nomination form for any committee position may be downloaded by clicking this link 18/19 Nomination form or contacting the undersigned by email sunburycc.vic@gmail.com. All nominations are required to be lodged no later than 7.00pm Wednesday, 23rdMay 2018.